The Kempegowda International Airport (KIA)’s brand new second runway slated to operate from October 2019 will be powered by energy and cost-saving LED lights. This choice was made to ensure lower maintenance, reduce power cost, ensure higher levels of safety and efficient operations. This will be the only airport in India to have LEDs. In a press release issued by Bangalore International Airport Limited (BIAL), CFO Tom Shimmin said that US based company, ADB Safegate, will be installing the necessary equipment to maintain the airfield’s LED lights such as cables and Constant Current Regulators (CSR). The firm is also providing the Advanced Visual Docking Guidance System (A-VDGS) software needed to visually gauge the space required for docking planes at specific gates. The construction of the runway is being completed in four phases within the time-frame of 2.5 years, with L&T as the main contractor, along with ADB Safegate’s local partner to meet the deadline by next year. The Karnataka State Pollution Control Board imposed a ban in 2016 on the usage of Plaster of Paris idols to celebrate the Ganesh Chaturthi festival. The following year, the BBMP claimed a severe drop in the immersion of the hazardous material in Bengaluru lakes. In 2017, one lakh of the four lakh idols immersed were made from PoP, the Palike said. Two years after the official ban, the reduction of PoP immersions was recorded again by the Palike on 15th and 17th September respectively, when most of the immersions were held. At Yediyur Lake, among the 52,009 immersions, 6000 were made of PoP. Ground investigations of sales revealed that manufacturers continued to sell tall PoP idols that are light-weight for consumers but do not dissolve leading to lake pollution. Though 282 mobile tanks and immersion spots far away from lakes were provided by the BBMP, the full-scale enforcement of the ‘no-PoP’ rule remains a lost cause. Deputy Chief Minister G Parameshwara pulled up senior cops following a notice sent by the High Court instructing them not to take decisions on civil cases at the police stations. He reprimanded cops at a review meeting at the Police Commissioner’s office on September 12. He warned them against forming nexus with real estate interests. Parameshwara then went on to say that traffic police must refrain from taking bribes, especially from drunken drivers. To curb this corrupt behaviour, 50 body cameras have already been distributed to seven stations, and 44 more stations are about to receive the devices to monitor the behavior of cops on duty. Point of Sales (PoS) machines, through which ATM cards can be swiped to pay fines, have also been given to traffic personnel. He advised the police on several issues. Efforts are under way to fill 6500 vacant posts, as the lack of manpower affects the functions of the department. He added that senior officers should not stay holed up at the police station premises, but must also routinely do patrolling work. Junior police officers must be checked through surprise inspections, and swift action must be taken against officers who are guilty of dereliction of duty. The Lokayukta has instructed all the parastatal bodies to form a joint committee to maintain and replenish lakes. This was in response to the complaint by former freedom fighter HS Doreswamy on behalf of United Bengaluru on August 3, 2017. His complaint brought to light the many acts of negligence by officials and citizens which hamper the quality of Bengaluru lakes. The list included indiscriminate dumping of garbage, unregulated sewage and encroachments on 25 lakes. The committee must be constituted by officials from BBMP, BDA, KSPCB, and BWSSB, who will be selected by the heads of respective organisations. The Lokyukta has asked the committee to meet often and implement solutions for lake rejuvenation. At the end of it, the committee is supposed to submit a status report to keep the Lokayukta and the petitioners informed. The Retailer Association of India has filed a petition at the Karnataka High Court seeking a change in the BBMP’s order on July 22, 2017 enforcing 60% of signboards to be written in Kannada. They argued that this was unconstitutional and against Karnataka Municipal Corporations Act. The High Court recently asked the BBMP’s to respond to the petition and adjourned the case till then. 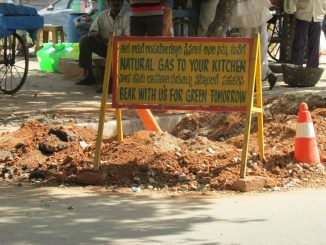 This year the BBMP has sent out notices to 6441 establishments that violated the order by displaying only English signboards. So far, 1002 signboards without Kannada have been removed. More establishments could stand to lose their trade licenses due to failure to comply with the order. The order is the revival of a nine-year-long case that was once closed by the Supreme Court. In the Vodafone Essar South v/s State of Karnataka case, the HC declared that it could not be enforced through rule 24-A of the Karnataka Shops and Establishments Act, 1961, as it was meant for regulation of trade and employees. The Supreme Court had dismissed the appeal. Now, the Kannada Development Authority is trying to draft an entirely new law for the purpose. However, the Mayor said the crackdown will continue even before the law is enacted. Bird flu in Bangalore: must we panic? Avian influenza or bird flu has scared Bangaloreans. But this infection can be avoided through awareness and precautions. Even when parks are drying up slowly, there are few takers for treated water. Cost of transportation is said to be the major reason.